... and rivers started to flow. 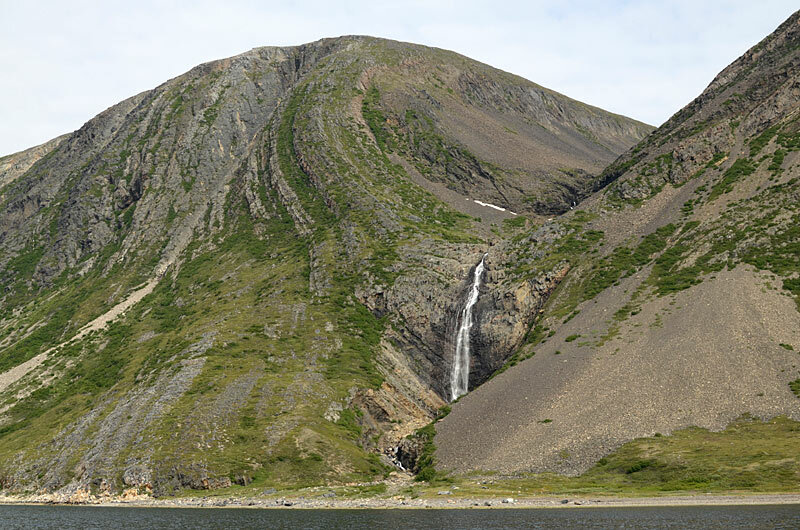 Torngat waterfalls show the forces of nature at work over millions of years. 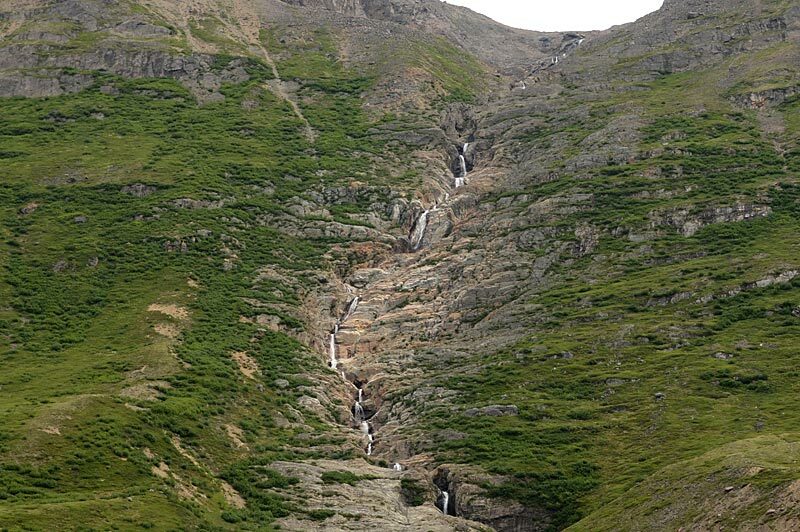 After the winter's snow has melted and collected into ponds on top of the mountains, the falling water cuts its path deeper and deeper into the hills as it makes its way to the sea.